The PopSci How 2.0 Blog - Is That the Star Trek Theme? Is That the Star Trek Theme? 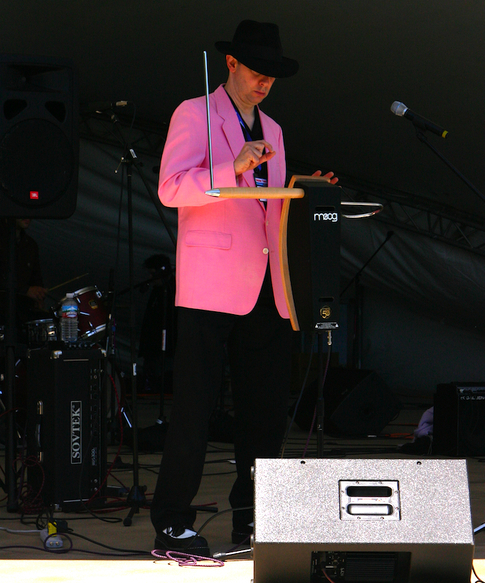 It wouldn't be a true techie gathering without a theremin, one of the oldest electronic instruments in existence. Dr. Robby Virus of the Bay Area group Project: Pimento played it, and played it well. Nothing will ever top Tenacious D's version of the theme song. Nothing.